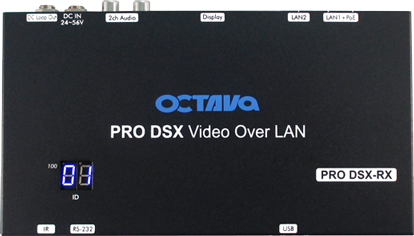 Octava PRO DSX 4K HDMI Video Over IP |Video Wall |System Controller. System Controller with feedback and live preview. 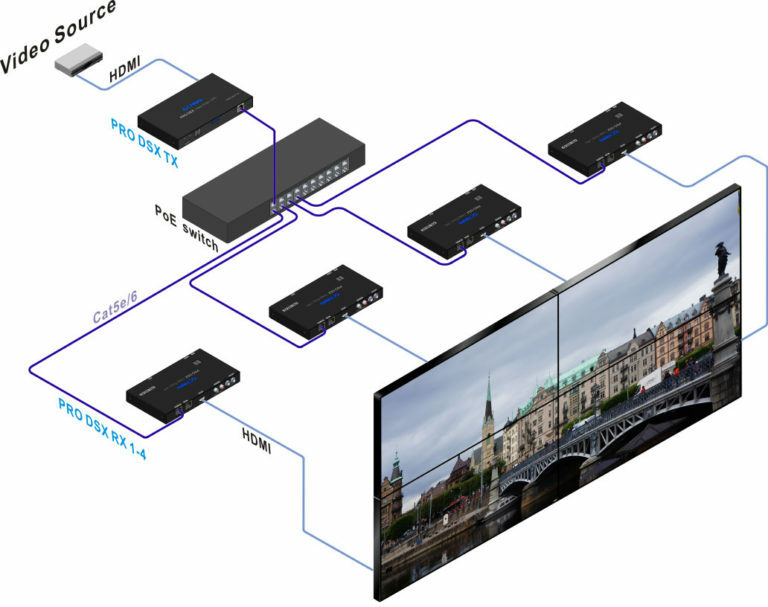 The Octava PRO DSX HDMI Video over IP solution is a scalable multiscreen 4K video connectivity platform. 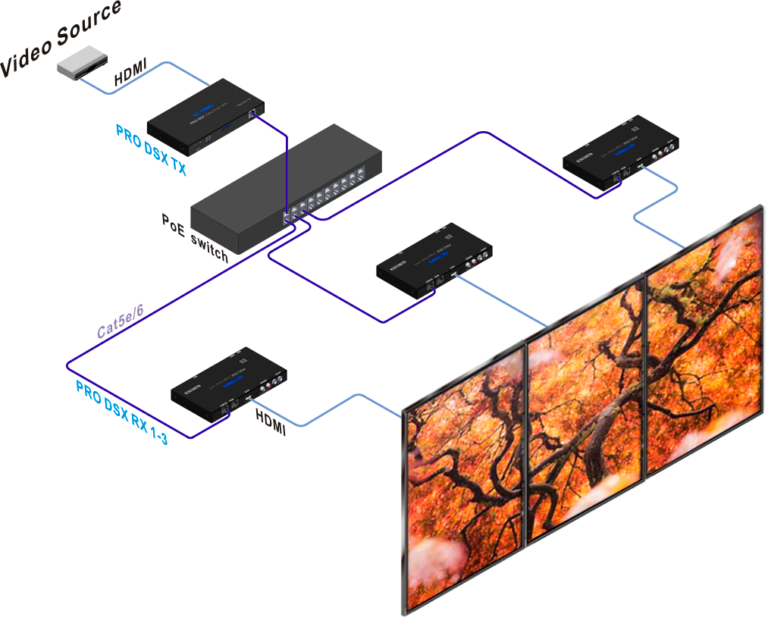 Utilizing network switch at the core and standard LAN cables, 4k video can be routed from any source to display connected to the network enabling one to create virtually any sized NxM HDMI Video Matrix, or Video Wall. 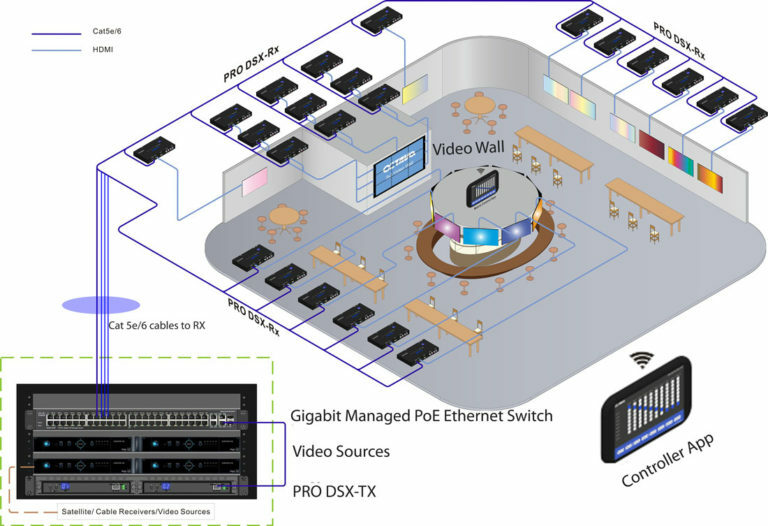 USB 2.0 over IP support allows you to share video , and access workstations over the Local Area Network. 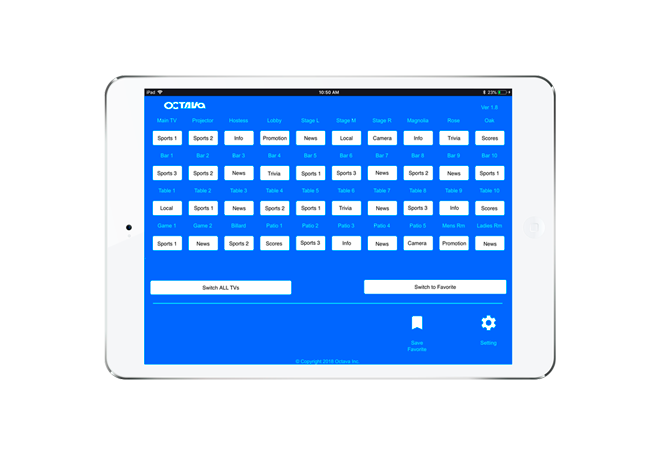 Integrated inside the PRO DSX unit is the Octava System Controller Software. 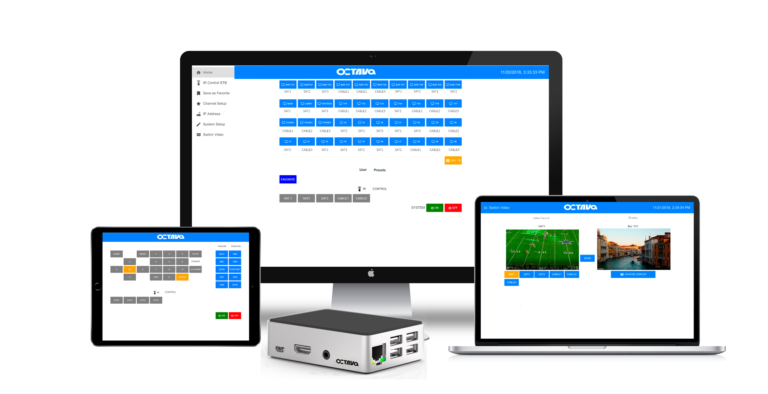 The integrated System Controller enables you to install |customize| operate your your video system without additional hardware/gateways or software. Our engineers have streamlined vast majority of the programming and setup within the embedded software allowing you to get your video system up and running rapidly. OPEN API – so you can create your own drivers to integrate with 3rd party control systems (Ex. Crestron, Control 4). 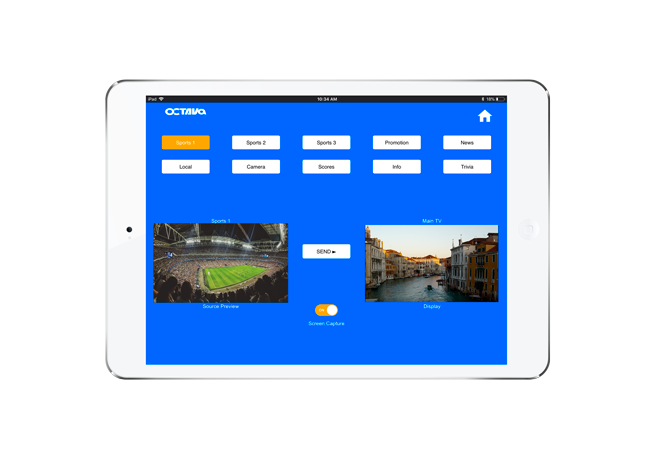 The Octava PRO DSX HDMI Video Over IP is ideal for commercial, enterprise , hospitality, and education Audio Video installations. 300 ft link distance over Ethernet cables. "All DSX are upgrade and all work perfectly! Thank you so much your support! " "The Bell Marker in San Diego has had the Octava system running great for a few months already! " 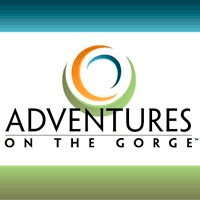 "Happy to report success - everything is up and running and I have fully transitioned to the Pro-DSX ...Psyched here "
"As you know we deployed your system and it’s working well. 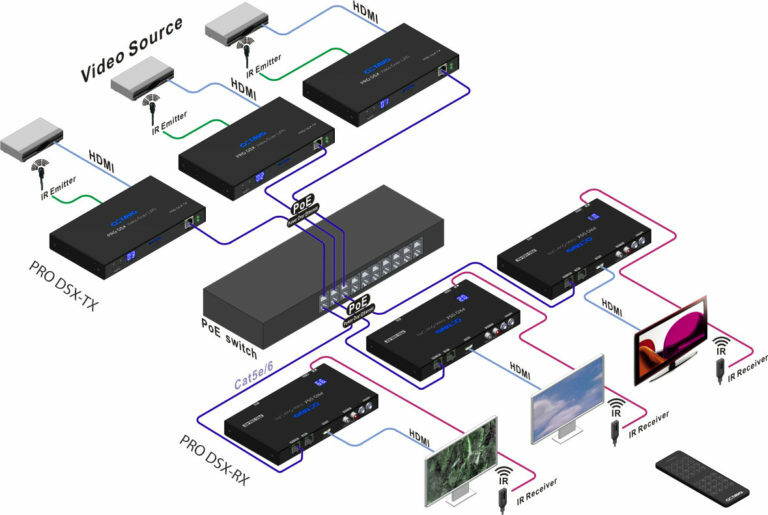 Regards"
PRO DSX Video Switching Via Remote Control. PoE Powered Conforming to IEEE 802.3af or 802.3at. Local Power Option from 24-56 VDC Available. Let us know about your system requirements. Our design team will review and happily provide system build for your review. There is no-obligations for purchase.